The inside of your toothbrush holder is a little-known germ breeding ground. Twice a day or more, your soggy toothbrush reenters the toothbrush holder. 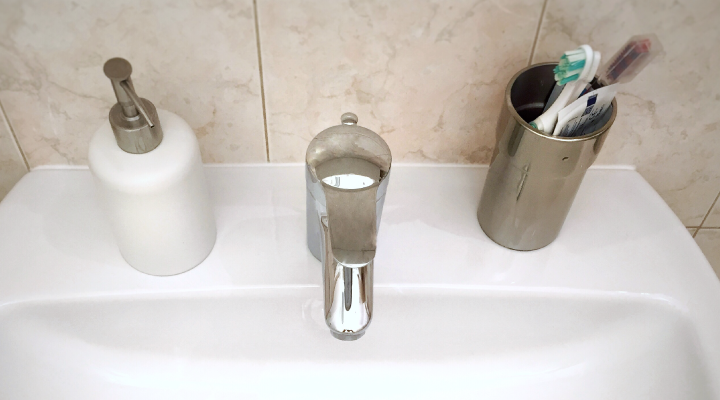 Use your own toothbrush holders – don’t share! Brush only at the sink. Shower water can spread germs from the shower head to your mouth. Wash your hands before brushing. Brush for two minutes with toothpaste. Rinse your toothbrush to remove food debris. Dry handle and bristles and store in a dry, clean area. Never microwave your toothbrush to clean it. It doesn’t disinfect it. We recommend purchasing a new one, instead.